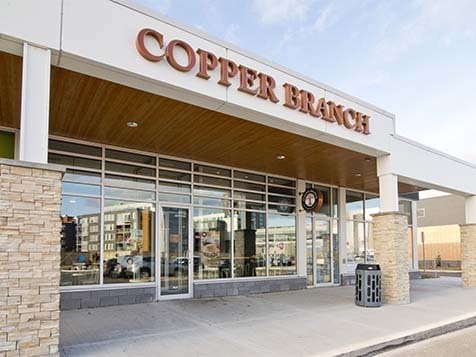 What does a Copper Branch Franchise Cost? 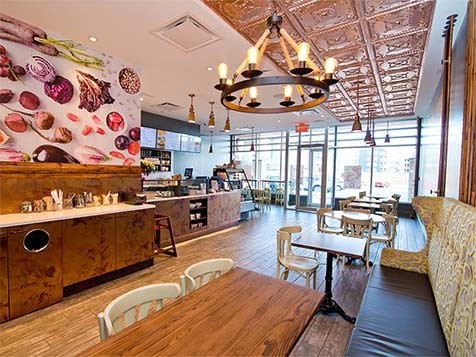 Copper Branch is a 100% plant-based restaurant franchise with a chef inspired menu and a turnkey franchise offering. They are expanding nationally and ownership does not require any previous restaurant experience. 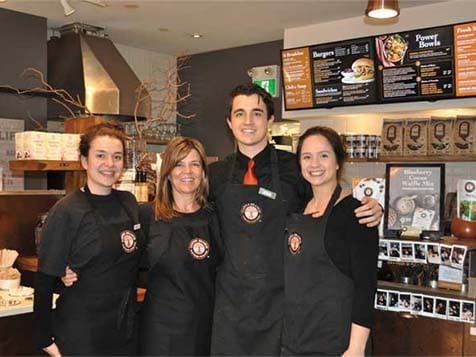 The Copper Branch restaurant franchise costs a minimum of $150,000 in cash, with a franchise fee of $40,000. The total investment to buy a Copper Branch restaurant ranges from $375,000 to $670,000. If you want to empower, energize and make people feel their best, open a Copper Branch quick serve restaurant. 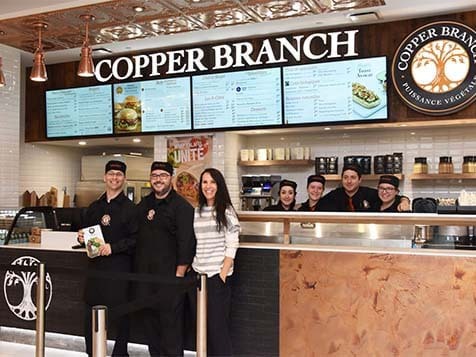 To operate a Copper Branch, franchisees must have a passion for serving great tasting, health minded, and nutritious food along with the ability to manage and interact with people. No restaurant experience required. 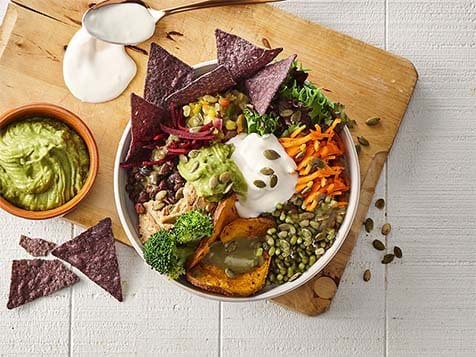 Copper Branch is looking for franchises to operate restaurants that offer 100% plant-based (vegan), health-focused cuisine, featuring salads, power bowls, burgers, sandwiches and smoothies. All menu items are created with chef-inspired flavors and crafted with plant-based, gluten-free, organic and non-GMO super-food ingredients. Copper Branch Restaurants operate using the System, including signage, interior and exterior design, décor and color scheme; special recipes and menu items; proprietary products and ingredients; uniform standards, specifications and procedures for operations; quality and uniformity of products and services offered; inventory, management and financial control procedures (including point of sale and tracking systems); training and assistance; and advertising and promotional programs. One of the first to market: We are the leader in Quick-Casual Bistro style truly healthy dining with a proven system in place. Access to prime locations: Our brand is sought after by the best landlords across the country and there are opportunities for a single-unit, multi-unit or territory development. No chef required: Our system requires no previous restaurant or kitchen experience. Unique & Diversified menu: We stand out from the clutter of fast casual dining options that are all splitting sales amongst themselves. 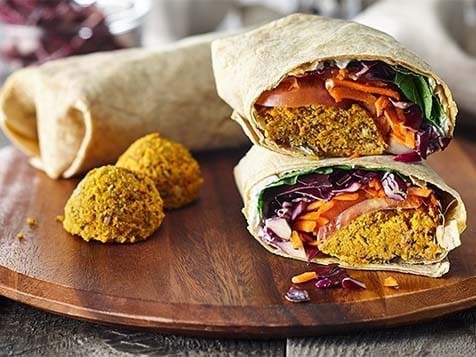 Copper Branch has created a satisfyingly delicious all day hot and cold 100% Plant-Based menu, that offers in dining, takeout, delivery and catering revenue. Training and supervision: We offer a comprehensive training program included in our franchise fee, guaranteeing you and your management team ongoing operations support. Development: Our development team works daily on our menu offering, food cost, streamlining store operations and implementation of measurable targeted marketing. Expertise: The owner of Copper Branch, Mr. Rio Infantino, has spent his entire career in the Quick Casual food segment and has owned and operated 16 retail operations. He knows what it is like to be the franchisee and is determined to exceed the franchisees expectations. To assure that franchisees and their restaurant managers are able to run and operate all aspects of a Copper Branch quick serve restaurant, Copper Branch provides all the necessary tools, materials and expertise in a comprehensive training program and through continual operational support. You'll have a direct line of communication with the management team members and access to the following support. Comprehensive training program with ongoing support. We offer a 4 door, 4 block, 4 kilometer consultation for every new location so that we can identifying the best strategy and practices to generate interest in our brand. This is executed through digital media marketing campaigns, blogger outreach, continuous SEO (search engine optimization) and other more traditional proven marketing strategies. Great Atmosphere: Although we are a Quick Casual concept our food offering, décor, music and client base lend to a more laid back yet interactive environment. A Quick Casual healthy food option is in high demand across the country: Copper Branch has made it convenient for all to eat well. Open one today.